After a rowing injury as a teenager, ongoing low back issues were showing up in Tom's CrossFit training. 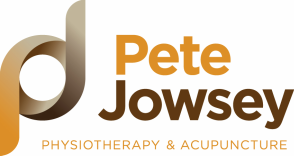 Pete's bespoke biomechanical approach has transformed Tom's training and his pain. A masters athlete frustrated by four months of knee pain. Heather utilised Pete's specific hands on treatment & rehab focusing on biomechanical contributing factors in the ankle and lumbopelvic region and was painfree in WODs again within two weeks. A previous rotator cuff tear, MRI scans, surgical opinions, and steroid injections, and worsening shoulder pain with overhead work. Pete rehabilitated Laurence progressively back to successful overhead training for the first time in two years.